© Copyright 2014. 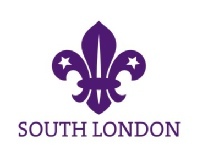 Greater London South Scouts - County Development Service. All Rights Reserved. 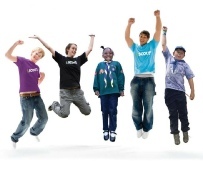 The main focus of the County Development Service is the development and growth of Scouting in South London Scout County. We cover the London Boroughs of Royal Greenwich, Lambeth, Lewisham Southwark and Wandsworth. Linda is responsible for directly managing our Development Officers and providing support to development projects. She is on hand to offer advice, help and support on the development of Scouting at all levels. If you have an idea for a development project drop her a line using the contact form opposite. Andy is our Deputy County Commissioner for District Support & Development. One of he’s responsibilities is the provision of the County Development Service. He is on hand to offer advice, help and support to District Commissioners and District teams. 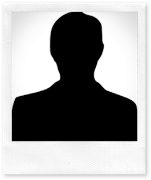 If you would like some help, need a question answered or have an idea for a development project drop him a line using the contact form opposite. Matt looks after development is Royal Greenwich and Southwark Districts and is responsible for Groups Support. He is on hand to offer advice, help and support on the development of Scouting at all levels. The County Development Steering Group is a sub-committee of the County Executive Committee and is made up of the members of the County Development Team. The teams’ main role is to support our Development Officers and to contribute to the shape and progress of the project by helping identify key issues and their solutions. The Team is made up of Philippa Jones, Trevor Quinton, Debbie Evans, Linda Hurford, Richard Morrison and Andy Melia. Garry looks after development in Lewisham District. 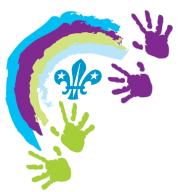 He is on hand to offer advice, help and support on the development of Scouting across the District. Reina is our County Administrator she is responsible for the general administration of training, County level appointments and DBS renewals across the County. She is on hand to offer advice, help and support on the administration of Scouting. If you would like some help or need a question answered drop her a line using the contact form opposite. Marcus looks after development is Lambeth and Wandsworth Scout Districts and can help with development at all levels he is also on hand to offer advice, help and support on the development of Scouting in your Group.